Get a Siteground hosting for yourself at 3.95$/month and get the SSL certificate free. Your site got HACKED? Never again. I am not the first person to tell you how to start a blog and make money blogging. There are billions of other bloggers doing the same thing. After blogging for a year I realized that you need to have a direction where you want your blog to be. It is just like having a business with its MISSION and VISION clear from the very first. Yes, many bloggers claim to earn 1000-2000$ within a 1-year launch BUT I am not that lucky one. So with this experience, I thought to write the post about the essential things you should care about if you want to start a blog to earn online. There is EVERYTHING on the internet, but if you want your progress to be faster then do get into some blogging courses. Now back to the pavilion. 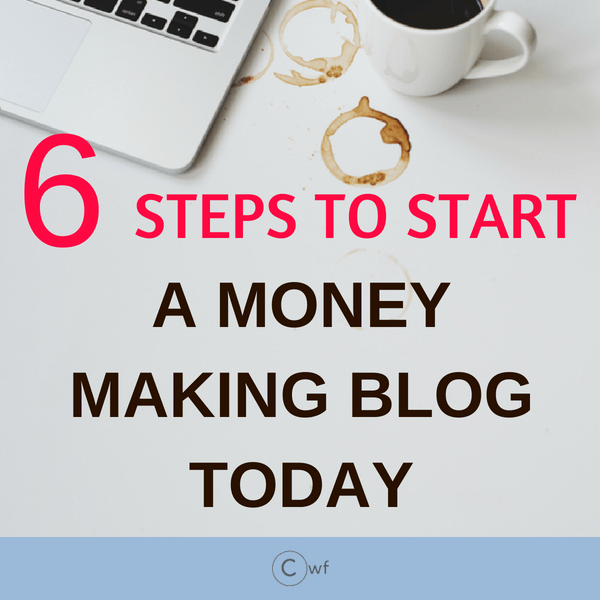 6 Steps to start a Professional Money Making Blog. This should be the first step before you setup everything or anything. There is no point to think about a successful blog business if you are aren’t sure what to write about. 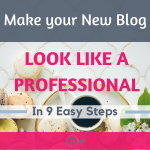 O You have a business and want a blog for that? Good. Go Ahead. Here you are already sure about the topic. But you cannot just write anything day in & day out about your business. Your blog should be something which can provide value to the readers. If you want to start a blog just to have your flexible work timing and to earn your living from it, just like me, then you need to know the niches which actually make money. Yes, there are several bloggers who would say Go after your passion, but I would slightly differ here. I would say “you need to have a certain amount of interest in whatever topic you choose to write’. Because once you choose a topic then you would be writing everything about it on a daily basis. 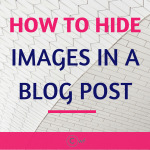 So if you hate your blogging niche then your readers would get that hint in your voice of writing and ultimately would leave your site in no time. Choose a niche which you enjoy. Not necessary it’s your passion. If you are SUPER CONFUSED with your blogging niche then check 7 blog niches to earn money. The end objective is to make your blog an authority blog for that topic. WordPress is one of the most popular blogging platforms. That does not mean that your site also has to be on WordPress. There are several other blogging platforms like Squarespace, Tumblr, Wix, Joomla, Weebly, and others. It is my personal choice to use WordPress as it is highly customizable and free. DO NOT get confused between wordpress.com and wordpress.org. WordPress.com is a basic blog hosting service offered for free by Automattic (Company who created WordPress). WordPress may delete your site anytime if they feel you are violating their regulations. Many bloggers start with wordpress.com and often shift to wordpress.org because of its limitations. So here comes WordPress.org to the rescue. WordPress.org is also free but it requires a hosting provider. (Coming to it later). It is fully customizable and gives you control over every aspect of your website. You can choose from thousands of beautiful themes or can use premium themes. Use as many plugins you want. You can make online store site, membership site or any type of sites you like. Most importantly it is SEARCH ENGINE friendly. WordPress.org may require a bit of learning curve, though there are thousands of free online tutorials to support you. The one-step solution WordPress problems which I found is WPbeginner. Next, I would like to speak a bit about Squarespace. This was another platform which I was thinking of considering. But WordPress won me over. With Squarespace, you can create beautiful websites using its drag and drop feature. If you do not want to indulge much in the tech part then Squarespace offers the simple and easy features for beginners with mesmerizing professionally designed templates. It also offers domain name SSL, Https. But the problem is for the personal plan it limits you only to 20 pages and 2 contributors and you are also limited in using few services and tools. The personal plan starts at 16$ a month (12$ paid annually) and 26$ for a Business plan (18$ paid annually). So to reduce expenses people also migrate from squarespace to wordpress. You should check the other blogging platforms as well before you start blogging. This will be the most confusing part of your blogging. Even after settling down with a domain name you will feel, I should have bought this or that. Trust me, the domain name does not matter SO MUCH as you are thinking. Yes, it is a business name which is hard to change later as you will have your brand associated with that particular domain name. But you can come up with anything cool and build your brand and blog with that particular name. If your domain is already taken then spend some time thinking of combining a few words which can best describe your site. There are a number of sites which will give you domain name availability suggestions. Even without logging in you can check GoDaddy’s domain name search for free. It will give you some suggestions based on your keywords. You can even get a domain name in under 1$ from NameCheap. In fact, many of the web host providers already give you a free domain along with their annual subscription like Bluehost or GoDaddy. .com is the most popular one as it is the primitive TLD. TLD stands for the top-level domain which means it will be displayed in the URL. I always prefer to choose .com as people are familiar to see it. The other TLD’s feel like they are less important. Though the other TLD’s are also becoming popular day by day. Earlier google search somewhat used to prefer .com (I felt), but nowadays the other TLD’s are also coming up in searches. So if you really want to take a domain name, the TLD’s should not matter much. It is another difficult task. Different people have different opinions about which web host is the best one. 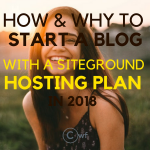 When you are just starting with your blog then you may not require many resources but as you grow, you will need more bandwidth and other flexibility and that is where choosing a hosting service suitable for your blog type comes in question. Right now am in GoDaddy’s hosting service provider but very soon I will be switching to siteground. Personally, I want to stick to siteground for their amazing customer service. I have already shifted to siteground hosting as they are providing a free SSL certificate too. Which means you will have https:// before your domain name and Google loves that and also makes it more searchable. (BETTER SEO). You can have your siteground hosting at 3.95$ per month from the link given. Another strong option is WP engine. You may not know it but this is a dedicated web hosting to wordpress. WPengine is the best which can happen to your wordpress site. Though it is a bit pricey so I prefer sticking to siteground which is good from every aspect for my blog. Another popular and cheaper option is Bluehost. This is also a decent web hosting provider. There is also GoDaddy which is cheap and it is my first hosting provider. Any reason for which am thinking to change it? NO. I just wish to use Siteground because of free SSL and thinking of my blog’s future and resources. Most of the hosting companies provide some easy wordpress installation. Whatever hosting companies you decide, whether siteground, bluehost or godaddy or any other, you can always find youtube tutorial or posts about installing wordpress. The next step is to choose your theme. Once again you will be confused. I would say at first publish a post. Then choose a theme. It will give you a clearer picture of how your posts going to look like. You can definitely change the theme later but changing themes more often is not suggested as it will break your entire site structure and every time you will have to put things in place. There are thousands of free themes which you can install in wordpress. You can check Elegant themes. It offers some premium and most beautiful themes. Perks of having any premium theme is that you will get a customer support and also a support to setup your theme. Just start writing. Put all your enthusiasm and love in your blog posts. Your readers should be able to know you by your posts. (It is the first step to Branding). Write at least 15 posts before you start marketing your blog. For marketing, you can use Facebook, Pinterest or any other social media at your comfort. Do you think I missed out SEO for marketing? Definitely, it is there but since SEO takes time to show results so it is better to use any social media platform at first. I absolutely love Pinterest. You can get enough free tutorials about marketing free blog posts with Pinterest. There are several Pinterest courses too. I loved Carly’s Pinteresting Strategies. Check out what Scrivs say about BLOGGING. One of the biggest reasons why many bloggers don’t even get off the ground is because they suffer from analysis paralysis. Loved the article Marybeth!!! Listen up ya’llBBC really is the real deal! Two months ago I didn’t even know what WordPress was, and didn’t have any active social media accounts. I now have a blog up that i’m so proud of, am watching things grow daily, and am so excited for what the future may hold. Scrivs will give you THE VERY BEST CHANCE of making waves in the blogging world by leading you to every successful pool of knowledge that he knows of. YOU have to chose to drink though. Hey Hi Vintagemaedchen . Am excited to know that you are also a part of BBC. Yes first time I felt I have invested somewhere worthy. Scrivs, I really can not understand how come he replies to everyone. By the way I am Moumita. Some people create a blog but they don’t know how to make a successful blog. Hope your tips help new and unsuccessful blogger. Hi Olena, even I was an unsuccessful blogger till year 1. So it really depends on how much effort are we putting into. Just keep on writing worthy posts and keep marketing it to the right people. Being that said I would always say use Pinterest. It really brings tons of traffic. Simple but effective post on monetizing a blog. I am a regular reader of this blog. Great work. Thanks to guide me to start a blog..
can you suggest me the some free theme for my blog..
Hi Simran thank you for the words. Start with the themes which are less animated. Do not go for many slider actions or code heavy themes as they will make your site slow. Site speed is extremely important for SEO. You can go for any free themes. They hardly make any difference.